1 Brown beef with onion in large skillet over medium-high heat. Stir in tomato and Knorr® Beef flavor Bouillon and cook 2 minutes. Stir in water, raisins and olives and bring to a boil over medium-high heat. 2 Reduce heat and simmer uncovered 5 minutes. 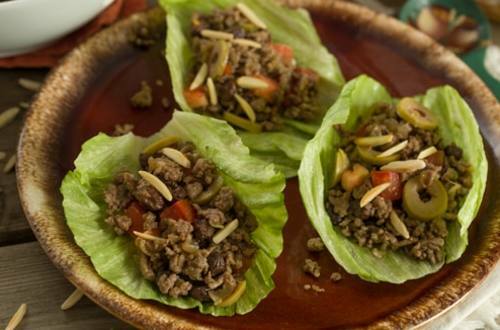 Evenly fill lettuce leaves with beef mixture. Sprinkle, if desired, with toasted slivered almonds.